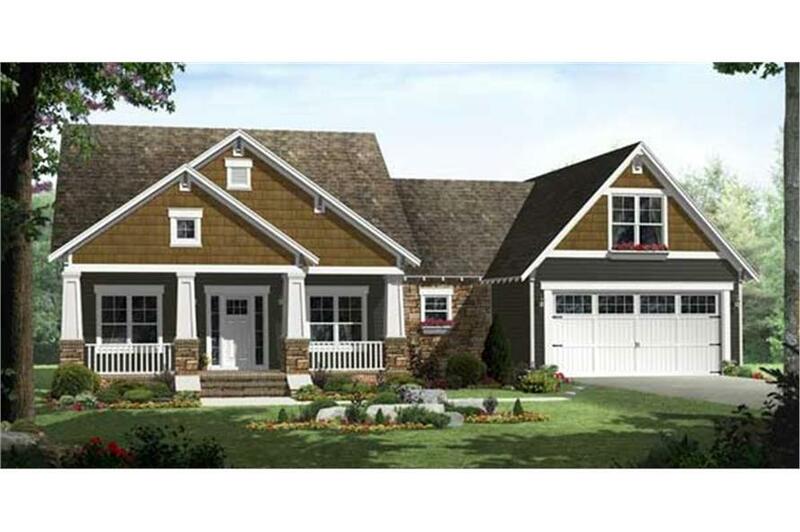 Home Plan: #141-1115 Charming rendering of Craftsman Home Plan #141-1115. 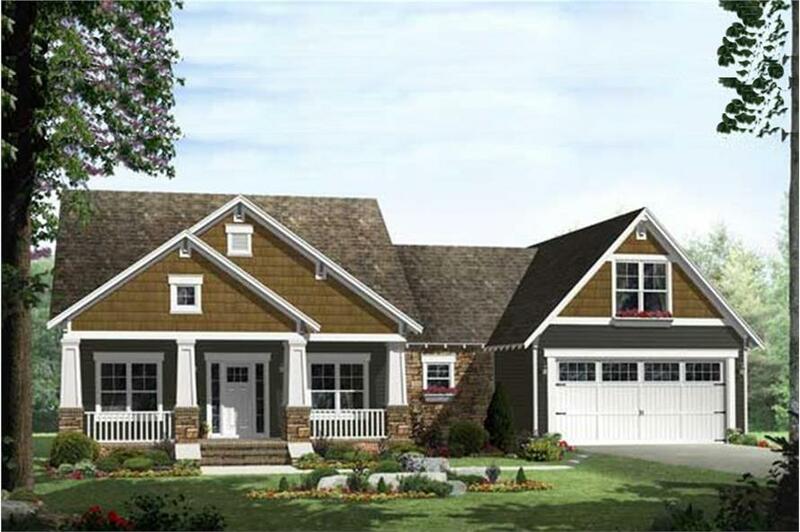 This stylish Craftsman-inspired house plan features a fantastic open, one-story floor plan with three bedrooms and two bathrooms. 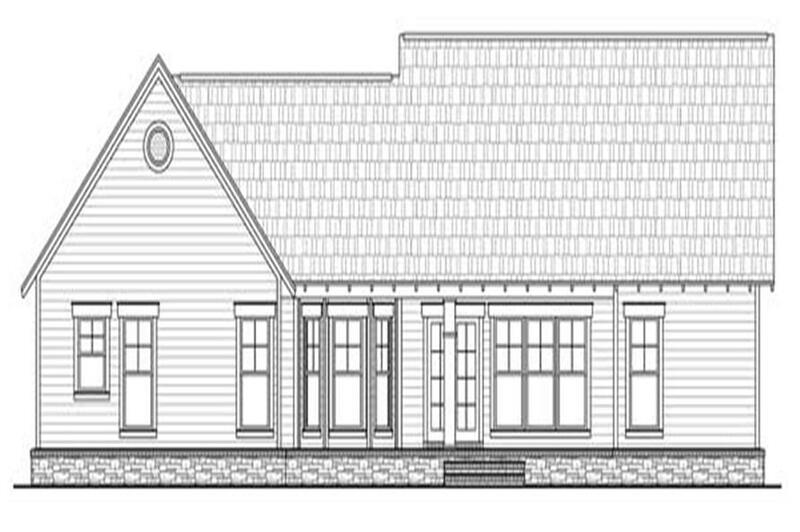 Enter into the home from the sizable front porch and be greeted by the high-ceilinged foyer. The foyer opens into the great room with wonderfully vaulted ceilings, practical gas fireplace, and access to the covered rear porch. The great room is open to both the kitchen and large breakfast nook. The kitchen features a great L-shape layout with a generous island with attached bar. Right off the kitchen is the hallway leading to the garage and split master suite. The master suite features 10-ft. tray ceilings and a luxurious master bath. The ensuite bathroom is a split bathroom with a jetted tub, his and her sinks, and a spacious walk-in closet. On the opposite side of the hallway is the two-car, front-entry garage with plenty of room for a workshop or extra storage. Across the house, you will find the two other bedrooms and full bathroom.